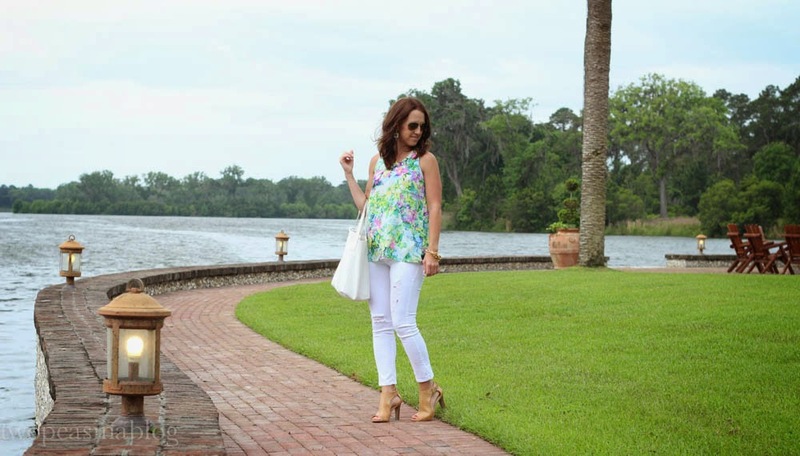 This is another outfit I wore over the weekend in Sea Island, GA. I wore this to shop at the Pier Village, a great strip of shops, boutiques and restaurants. 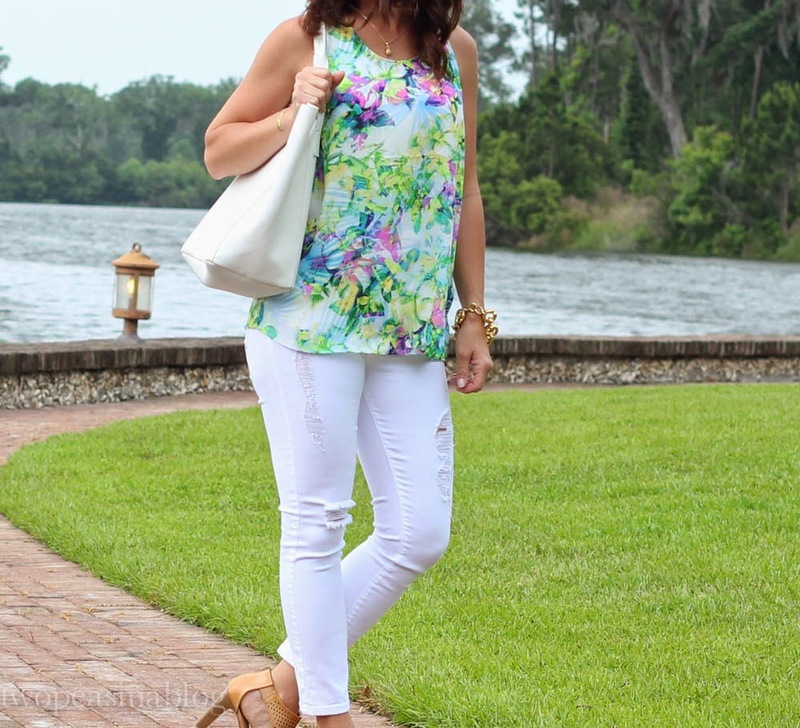 I love the bright neon colors of this tank paired against the white jeans. These white jeans have been on repeat all spring. They are the Angry Rabbit cropped. 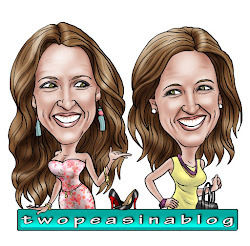 I had never heard of this brand until I purchased them from a boutique in Columbus, OH while visiting Katey a few weeks ago. They are so comfortable. The material is thin, but not see-thru, and they have some stretch. And they are made in the USA. This tank is another find from TJMaxx. I just got it last week, so check your local stores for it. 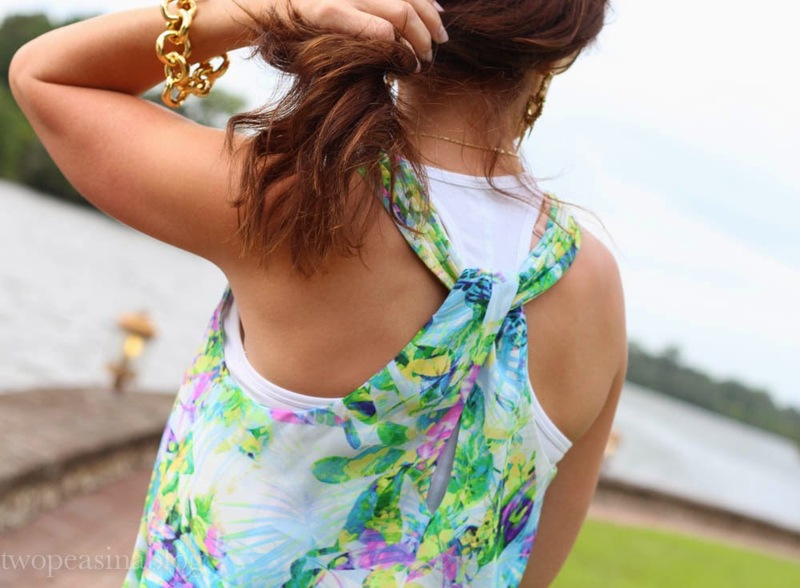 I love the bright neon pattern, the silky material and the back detail. I think I will get a lot of wear out of it this summer. 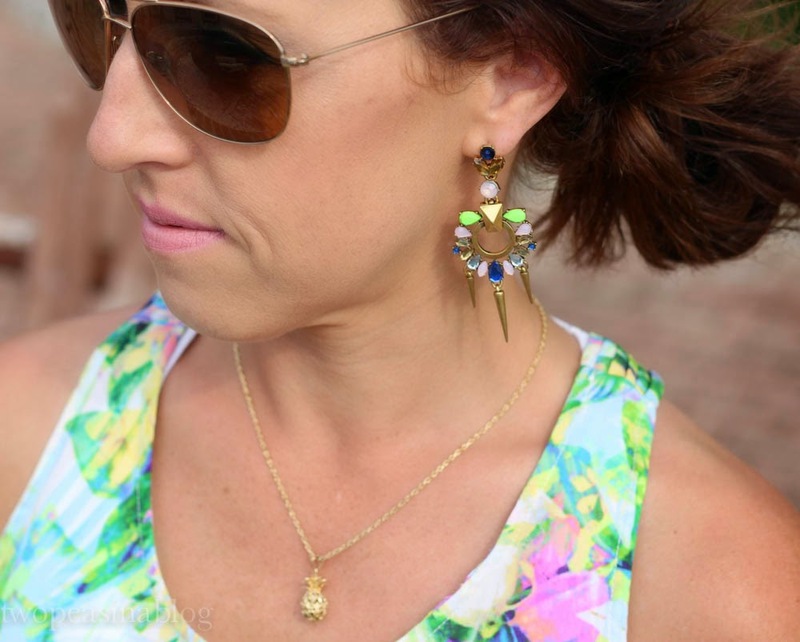 Maybe I'll pair it with the neon shorts from yesterdays post for a bright, casual look!? Do you have any luck finding great pieces at TJMaxx? I'd love to hear about it in the comments. 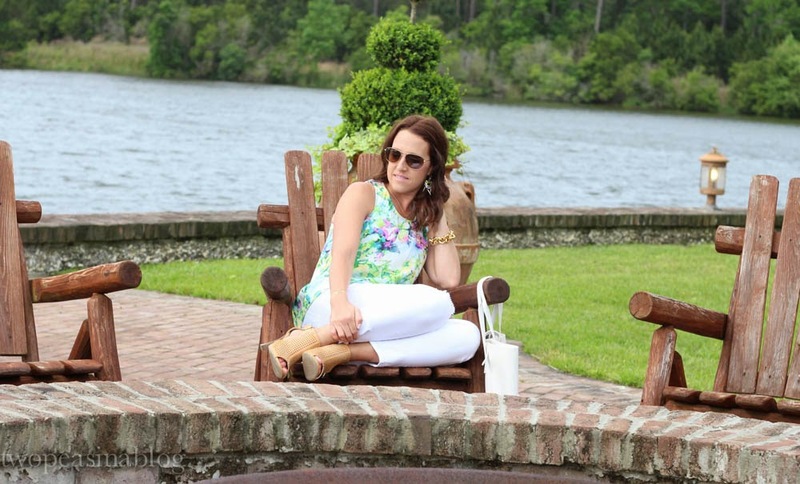 Check back tomorrow to see pictures from my trip to Sea Island, GA.
you seriously had the best style on this trip! love this tank as well! Thanks,thats so sweet of you to say!